If I Exercise A Lot, Will I Still Develop Metabolic Syndrome? This is a great question, and many people fall into the trap of believing that exercising a lot gives them license to eat whatever they want without consequences. It’s just not the case, unfortunately. In what seems like a past life, I would regularly run 30+ miles over rough, steep terrain, and mountain biked in excess of 5 hours and/or 50 miles too many times to remember. Shorter distances were literally covered thousands of times. I remember a line from a song from a Scottish alternative band from days gone by that began going through my head when I was actively abusing myself with exercise: the things I’m doing aren’t good for my health. I’ve learned that it’s necessary to explain to endurance athletes that I’m a recovered triathlete and mountain biker and no longer push myself like I once did, as most believe that pushing themselves to extremes means they’ll never have a heart attack. One of my riding buddies had to hang it up when he found that his coronary arteries were almost entirely blocked and began having significant heart issues. He was an unstoppable force with more trophies than he could count, and it all changed in a day. It happens that fast: you go from being completely asymptomatic to a shell of your former self in a span of 24 hours. So I’ve been around the block and then some with exercise, and can say from experience that burning a lot of energy doesn’t lead to immunity from CVD, metabolic syndrome or anything else. It means that you’re generating an enormous amount of oxidative stress (and cortisol and adrenaline and and and…) and that you need to eat 3500 calories a day just so you won’t waste away, but it doesn’t mean that your health and risk status is favorable. Just the same, many people who exercise in moderation develop CVD and metabolic syndrome, and many people who don’t exercise don’t develop these issues. I think you get the point: exercise in moderation based on your constitution, but don’t delude yourself into believing that excessive amounts of exercise builds immunity from things like heart attacks. I don’t pay much attention to football, but a lot of those huge linemen exhibit the abdominal obesity aspect of metabolic syndrome, and they’re incredibly strong, physical athletes. If ever there were a better example of people exercising (and eating) to extremes and becoming very strong yet simultaneously killing themselves, I don’t know what it would be. Then again, there’s always CrossFit. But I digress. Please don’t throw a tire at me. What Labs Do Americans Currently Get? Some lab reports will include ratios of some of the above lab values. If your labs don’t include these, you can compute them yourself by using the formulas below. TG/HDL ratio. When your TG value is divided by your HDL reading, you obviously have a TG/HDL ratio. E.g., TG value of 125 divided by HDL-C of 60 = 2.08. This is probably the most useful data you can extrapolate from a standard lab profile that doesn’t include LDL-P. When TG is high and HDL-C is low, you’re more likely to have high LDL-P and therefore things like NAFLD and metabolic syndrome—and I’d bet a fair amount of stress and a history of a diet that contains a skewed macronutrient profile. Cholesterol ratio: total cholesterol divided by HDL-C. E.g., if total cholesterol is 200 mg/dl and HDL-C is 45 mg/dl, the cholesterol ratio is: 200 ÷ 45 = 4.44. This value would be considered good as it’s below 5, but not ideal, as it’s above 3.5. You could take any component of this blogpost, e.g., LDL-P, get a Ph.D in the subject and still not know all there is to know about it. Not even close. The focus of this blogpost is to explore the topic in enough detail to provide a working context for the things you really need to know to be able to accurately assess health and risk status via lab interpretation. The most important lab measurement we’re after is of course LDL-P. We’ve discussed that standard labs can distinguish between apoA-I and apoB, but they can’t provide a break down the various apoB-containing lipoproteins, i.e., LDL, IDL, VLDL; standard labs can’t provide us with particle size and number, either. The test that provides this information with reasonably low cost (about $100) is the NMR LipoProfile test. It uses what’s known as nuclear magnetic resonance (NMR) spectroscopy to provide direct measurement of LDL-P. It measures the size of LDL particles as well. NMR also gives a breakdown of the HDL and VLDL subclasses. A value of less than 1.000 is considered ideal. Above 2.000 is considered very high. 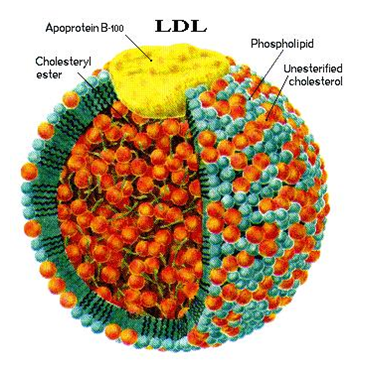 After decades of touting HDL as “healthy” cholesterol, it might be a little anticlimactic to find that LDL-P is the star of the show. In fact, HDL seems to have become an also-ran, as we haven’t mentioned it much at all in this blogpost. To be sure, HDL isn’t an also-ran, it’s simply not as predictive of health/risk as it was once imagined. Let’s give HDL its due and see what the real story is with this happy-go-lucky lipoprotein. The development of the HDL-C assay as a prognostic indicator in the development of coronary heart disease (CHD) dates back to the late 1940’s. Techniques were developed and continually modified up through the 1970’s that eventually became the “modern” LDL and HDL cholesterol tests generally known as a standard lipid profile. The early development of the capacity to measure HDL-C led to various long-term epidemiological studies, e.g., Framingham and Helsinki, and the data from these studies allowed HDL measuring techniques to be refined further still, and also led to the currently-held beliefs that having a lot of HDL-C is per se a good sign. One of the reasons that HDL-C is considered to be a protective lipoprotein is that unlike LDL-P, HDL particles can enter the subendothelial space without resulting in atherosclerosis. Keep in mind that HDL-P are very small particles. What’s more is that HDLs can accept cholesterol from immune system cells, e.g., macrophages in the subendothelial space of an artery and transport it back to the liver. That’s known as reverse cholesterol transport, which is one of the things that made HDL both famous and synonymous with all things positive in the middle of what is generally associated with negativity—cholesterol, fat, CVD and so forth. Epidemiological studies tended to associate the presence of higher HDL-C values with lower risk, and therefore it was almost universally accepted as fact that HDL-C is in itself protective for the heart and circulatory system. As more and more nuanced data has been derived from more and more nuanced testing procedures, the position that HDL-C is a singularly positive lab value has been rethought. HDL-C does convey cardioprotective and antiatherogenic benefits, but just the same many people with high HDL-C develop all manner of cerebrovascular issues. I tend to think of it like this: even the safest driver on the road can end up in a traffic accident. Driving “safe” will translate into health-protective benefits, but it’s not enough to ensure that you’ll never be involved in an accident. Controlling one variable, i.e., how safely you drive, cannot protect you from the negligence of others or “acts of God.” The apparent “good” of healthy levels of HDL-C aren’t necessarily enough to offset the potential “bad” of elevated LDL-P and other values; paying attention to your surroundings won’t stop someone from running into you in traffic and just because your HDL-C is in the healthy range doesn’t mean all that much when considered by itself. 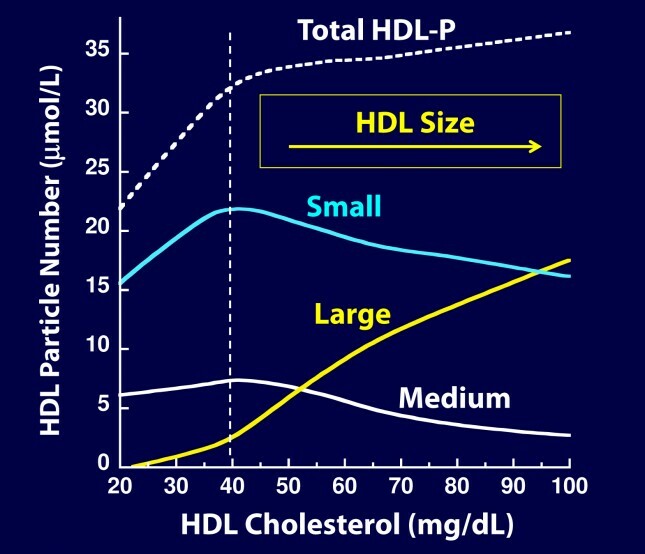 Just as particle number and size matter regarding LDL, so it goes with HDL. 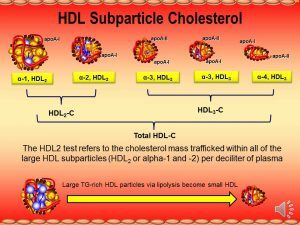 Let’s have a look at a chart that will help us understand the relationship of HDL particle number, particle size and cholesterol content. We’ll then relate this information to the prognostic value of HDL-P, HDL-C and HDL size per se. Some charts are a little confusing when you first look at them, and this one falls into this category. 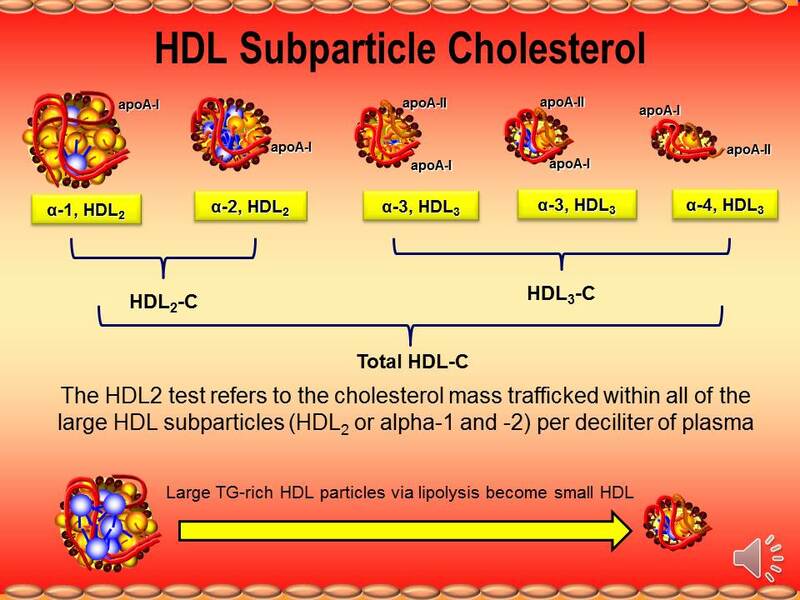 If you focus on the three lower lines labeled small, medium and large, you’ll understand that as the total amount of cholesterol contained within HDL particles increases, the number of small and medium HDL’s decrease while the number of large HDL-P increases. 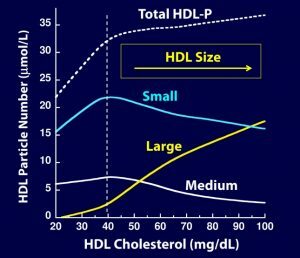 This makes sense because HDL’s increase in size as they collect cholesterol: therefore we see fewer small and medium particles and more large ones. If you now pay attention to the vertical dashed line above the number “40” on the bottom of the chart, something else becomes apparent: once the amount of cholesterol contained in an HDL particle gets to 40mg/dl, the top (curvilinear dashed) line representing total HDL-P flattens off considerably. So once HDL-C eclipses 40mg/dl, the total number of HDL particles doesn’t really go up very much. Therefore, HDL particles are ostensibly getting larger as they accumulate cholesterol, but not more numerous: there’s more cholesterol but not appreciably more particles. And as we’ve already mentioned, the three lines at the bottom of the chart representing small, medium and large particles play this out, i.e., the small and medium particles decrease and the large particles increase in size beginning around 40mg/dl. I say ostensibly because unless you actually measure HDL-P, all you know is that HDL-C is going up; you don’t really know what’s going on with HDL-P. Said differently, this is the optimal relationship, not necessarily what happens when metabolic dysfunction exists. People who are developing risk factors for CVD and other metabolic disease may have a different, less optimal pattern of HDL-P.
Now that we’ve reviewed some of the basics of how HDL-C relates to HDL-P and HDL size, let’s see how these values translate into determining health and CVD risk status. And right from the start, it gets a little complicated. Or a lot complicated., but we’ll put it all right in the end. If you recall, ApoB-containing particles, e.g., LDL, have one apoB per particle. Thus, the number of apoB approximately correlates with the number of LDL-P, as most apoB’s in a fasting blood draw tend to be LDL-P (there aren’t as many VLDL and IDL particles). You’ll also recall that HDL particles contain apoA-I. The challenge is that an HDL particle can contain anywhere from one to five apoAI; they also contain other apolipoproteins. This makes it impossible to count them by using a technique that backs into the number of HDL particles based on the number of apoAI’s found in a serum sample. Therefore, another method has to be used. The two common methods of determining HDL-P are NMR (nuclear magnetic resonance—mentioned earlier) and ion mobility spectrometry (IM). What’s more is that the two methods of determining the number of HDL particles arrive at different values. Bummer! But while that’s the case, both methods clearly show that HDL-P is more predictive of risk/health status than is HDL-C. At the risk of putting you into a coma while this blogpost is most of the way down the backstretch, let’s slog through a few technical points about HDL in order to gain the insights needed to actually know what we need to know about HDL-C and HDL-P relative to risk/health status…we’re almost there. If we only measure HDL-C and don’t measure HDL-P, we’re guessing about HDL-P based on HDL-C. In other words, we’re assuming HDL-C and HDL-P are concordant. We’re assuming that higher HDL-C = greater numbers of large HDL-P and decreasing numbers of small and medium HDL-P, but they could very well be discordant, especially in populations exhibiting metabolic syndrome, NAFLD, etc. And when it comes to something as important as your health, assuming that HDL-C is groovy when it might not be isn’t a good idea. 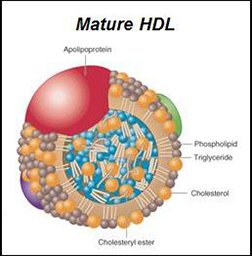 HDL-P carries at max about 30% cholesterol, and this amount will vary greatly depending on HDL particle size. While a standard lab reflects HDL-C, it can’t determine the number of HDL-P in the serum sample, and it’s obviously not possible to back into the number of particles. Again, this becomes crucial because we don’t want to assume that HDL-C is a positive lab value just because it’s within optimal limits. We have to know the particle number and sizes. I described that the two primary methods in use to determine HDL-P (NMR and IM) arrive at different lab values for HDL-P; fortunately, both of these methods are reliable within themselves and not only arrive at subparticle fractions, i.e., the number of small, medium and large LDL-P, but their LDL-P subfractions correlate with their LDL-P values as well. In other words, when you consider the information from either method, the end result is that the data adds up and makes sense. HDL subpopulations [subfractions] are significantly better predictors of CHD [coronary heart disease] than HDL-C values. Every 1 mg/dL apoA-I increase in very large α-1 HDL was associated with a 26% (p<0.0001) decrease in CHD risk. When it comes to both LDL and HDL, particle size and number are the prognostic values we’re after. 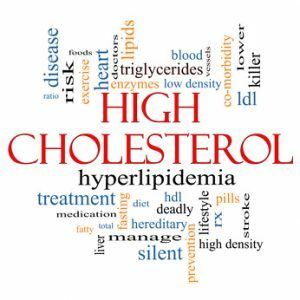 This means, then, that the “good” cholesterol that is commonly discussed by healthcare providers and patients alike, i.e., HDL-C, isn’t the gold standard after all. What is? A complete picture that includes LDL-P, HDL-P VLDL-P. I’ve shown the information a few times and won’t make you read it again. If you’ve ever wondered why healthcare providers tend to specialize in specific fields, just the information in this blogpost is enough to explain why. Anyway, our tour de force of all things HDL reveals that what we’re after is HDL-P. Specifically, we want to know the size of the HDL particles and how many HDL-P there are of each size. And as I’ve mentioned a few times, larger numbers of large HDL particles and fewer numbers of small HDL particles is the best HDL particle profile that you can have. At the beginning of this section on HDL, we discussed that early epidemiological studies tended to extoll the virtues of HDL-C as good/protective cholesterol. It’s also interesting to note that because of the misperception, there have been various studies done to “prove” that by increasing HDL-C, atheroprotective benefits are conveyed. Fascinatingly, this hasn’t panned out in any of the studies. Drug companies have developed drugs designed to increase HDL-C, but found in the testing phase of those studies that while they did increase HDL-C, they also caused all manner of unwanted effects. Including death. So. Just because HDL-C is high doesn’t mean that the size and number of the HDL particles is where it needs to be, i.e., concordant. Other substances, e.g., niacin, have been demonstrated to increase HDL-C, but don’t seem to correlate with reduced risk. In other words, you can take niacin (don’t use the no-flush niacin as it doesn’t actually do anything) to increase your HDL-C, but just because your HDL-C lab value goes up doesn’t mean your risk status goes down. I’d venture that being happy and fulfilled in life will have a much more powerful influence on your labs than anything else. Life is a lot more than labs. You may have noticed that even though we’ve covered a lot of material, we haven’t addressed this question: what causes high cholesterol? Before we attempt to answer it, we first need to determine what high cholesterol is in the first place. I sat with a client today who just had some labs done and was told that her cholesterol was too high. Interestingly, though, when I reviewed them, things actually look pretty darn good. Is her cholesterol too high? Not in my book. And if anyone had taken the time to inquire about the startlingly positive changes she’s been experiencing, they’d have been blown away. The point is that when we fixate on lab values without proper context, we tend to miss the point we set out to find in the first place. What is “too high” when it comes to cholesterol? The answer is that it depends. If the lab values we discussed that you do and don’t want are in order, it’s highly likely that your total cholesterol will be right and healthy state for you. Not necessarily for an average found on a lab chart, but for you. I don’t think it’s wise to apply sweeping generalizations to total cholesterol values; context is essential. If the following lab values are in order and your total cholesterol is 240mg/dl, I’m not going to worry about anything. Here’s the deal. If you’re obese, if you smoke, if the ratio and amount of fat, protein and carbohydrate you ingest isn’t where it needs to be, if you’re stressed to the max, if you don’t like your life, if you don’t have a strong sense of purpose, if you’re depressed, if you’re sedentary, if you routinely say yes when you mean no, if you worry and fret—all of these will negatively impact your cholesterol readings. Keep in mind that there are no symptoms of low, normal or high cholesterol, but there are innumerable symptoms that you’re not enjoying your life. Unless all the underlying contributing factors are accounted for, how can your cholesterol, which is a symptom of these influences, ever change? Don’t believe the hype. Eating cholesterol won’t make you fat and it won’t appreciably influence your cholesterol levels. It’s just not the case. Cholesterol conveys so many health benefits that it’s odd that it’s so maligned. For example, both HDL and LDL will increase—often dramatically—in response to acute illness and surgery. This is because cholesterol has a protective quality. The same goes for infection, inflammation and dental procedures—they all increase cholesterol values. It’s possible to predict the development of metabolic syndrome by considering the number and size of various particles. It’s possible to determine if what we’re eating and thinking (don’t discount stress, gut health and the like) is contributing to or detracting from our health if we have the right labs (and the insight to properly interpret them). If you don’t have labs that show particle number and size, compute the ratios discussed above and this will give you more insight than you might already have. Toward the beginning of this post, I mentioned that labs aren’t the end all be all of healthcare, and they’re not. I use them, I like them, I think they’re important, and I also rely on many other factors. No one is reducible to a set of labs. Then again, no one can feel their particle numbers and size and accurately know those values via intuition. A more nuanced approach includes both subjective and objective findings and proceeds accordingly. Keep this in mind in regards to labs: if you make wholesale changes to your diet, and if you’re heading towards an optimal weight and in the process of becoming healthier, it’s normal for your cholesterol and lipoprotein values to shift. That’s one of the things you’re hoping will occur. And before your lipoprotein and TG values settle into a new state of balance, they may temporarily get “worse” as you change decades of bad habits and do significant housekeeping. Give yourself a chance to heal; don’t get a set of labs done before you’ve transitioned from where you began to where you’re going and psyche yourself out because some of your labs aren’t “perfect.” This is part of the process. It’s necessary to go through a period of shift and change when you’re healing, and your physiological and psychological aspects will reflect this. Translation: you may go through physical and emotional ups and downs en route to the destination of a changed life. I’ll say it again: don’t don’t don’t get a set of labs done before you’ve arrived at your destination that reflect a system (you) in the process of change and freak yourself out with them. Another word of caution: don’t allow a healthcare practitioner to freak you out because your labs are changing and they don’t understand all the things we’ve been discussing. If what you’re eating is leading to health issues, have a very open mind and be willing to be wrong about what you (mistakenly) believe is right. Sometimes you’re doing mostly the right things and only need to make a few modifications, while other times you need to go back to the drawing board. 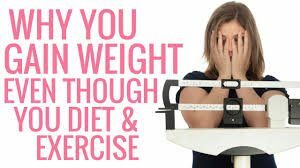 There are more diets out there than you could shake a stick at, not that you or I have ever seen anyone shake an actual stick at the concept of diet or anything else, for that matter. The point is that there are a lot of diets out there, yet most people aren’t experiencing the health they’d like to experience, i.e., the various dietary approaches aren’t necessarily effective. Again, be willing to make changes. And when you do, stick with them long enough to truly determine if what you’re doing is actually working for you. If it’s working, stick with it, but if it’s not, it may not be right for you. In the early 90’s, professionals were taught in professional school that a dietary intake of 50% carbohydrates was a healthy diet. And check it out: there wasn’t one person questioning this belief, although there was absolutely no evidence whatsoever to support such a sweeping recommendation. None. Zip, zilch, zero. This mindset began to shift to the 40/30/30 mindset in the mid-90’s, and the idea of eating less carb and more fat was considered blasphemous. The big idea is that dietary guidelines were and continue to be opinion, not fact. Almost without exception, everyone’s idea of what constitutes a healthy diet is based on opinion, and this isn’t my opinion: heart disease, cancer and neurodegenerative diseases—the majority of which are preventable according to the NIH—kill 75% of Americans, and these are diet-related issues. What a difference a day makes. Or in this case, a few decades. It’s a lot more possible to determine what a healthy diet is today than ever before. The reason that we’ve relied on opinion is that no one has ever really been able to solve the paradox: what is a healthy diet? But by taking into consideration things like lipoprotein particle size and number, thyroid status, gut health, adrenal function, one’s ability to sleep, stress levels, glutathione status and innumerable other factors, it’s possible to take big strides in the direction of really knowing what diet works best for you. Here’s a tip, regardless of whether you’re vegan, paleo, Atkins or on a see-food diet. When you eat too much of any given macronutrient, i.e., fat, protein or carbohydrate, what can’t be used as fuel right now is going to be converted to triglycerides in the liver via de novo lipogenesis and shipped, via VLDL Transport Services, Inc., to cells throughout the body where it’ll be dropped off and stored. Which leads us to a very relevant point: if you want to begin improving the facts and figures that show up on your lab reports, just say “no” to gorging yourself on a regular basis. If you eat more than you’re going to burn, cue de novo lipogenesis, cue excess VLDL-P, cue LDL-P, and you can fill in the blanks from there. And remember, an artery can become 99% blocked and do so asymptomatically. The next percent will bring with it a startling shift in awareness. Here’s a shameless plug: if you’ve tried a lot of things and still not been able to get your health figured out, let’s talk. If things are working well and you’re interested in optimization, let’s talk. If things are going great and you liked the blog, please leave a comment. More to come.